Upper Main Street in the town. GARDAÍ ARE INVESTIGATING after a man was stabbed early this morning in Donegal. 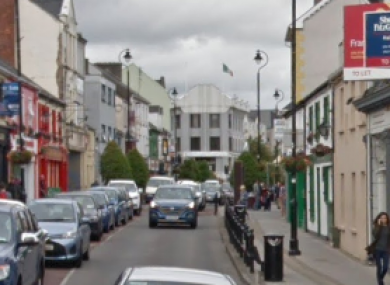 Gardaí in Letterkenny are investigating the incident, which occurred on Upper Main Street, Letterkenny at about 3.30am this morning. The man (aged in his early 30s) was taken to Letterkenny University Hospital with knife injuries and received medical attention. Gardaí said that investigations are ongoing and no arrests have been made at this time. Email “Gardaí investigating after man (30s) stabbed early this morning in Donegal ”. Feedback on “Gardaí investigating after man (30s) stabbed early this morning in Donegal ”.